Tcorr Inspection offers corrosion engineering, protective coating (NACE) and third party inspection in accordance with the Australian and International Standards to assist companies, and in particular the Oil/LNG sector, maintain project quality standards. Tcorr Inspection offers corrosion engineering, protective coating (NACE) and third party inspection in accordance with the Australian and International Standards to assist companies, and in particular the CSG/LNG sector, maintain project quality standards. Rope access is a form of work positioning that allows inspectors to access difficult-to-reach locations without the use of scaffolding, cradles or aerial work platforms and is a cost effective and proven safe work method. Corrosion Under Insulation (CUI) is the corrosion of piping and vessels that occurs beneath insulation as a result of moisture penetration, with the effects often hidden from view and not discovered until it is too late. Coating failures can occur for numerous reasons, although they are typically as a result of poor application, a defective coating, or an inadequate specification. An analysis of the fundamental causes behind coating failures is critical. In-service inspection of corrosion, coating systems and asset condition can determine the need for maintenance and repair. The results of in-service inspections are linked to maintenance budgets and therefore balance between two extremes is an ongoing issue. Our coating inspectors’ qualifications are recognised either nationally (Australasian Corrosion Association ACA) or internationally ICorr, and (National Association of Corrosion Engineers NACE). Tcorr Inspection can assist in providing more efficient methods of inspecting inaccessible assets, thus reducing project cost blowouts. 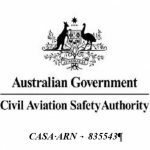 In a joint agreement using the Australia-wide availability and experience of ISO 9001:2015 compliant company National Drones RPA resources, we deploy inspection ready RPA for condition surveys and inspection of assets in a cost effective manner utilising High Definition imaging, 3D modelling and digital thermography.